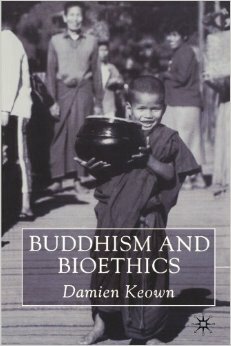 The BESJ Bioethics Reading Group is reconvening on Friday March 20th to discuss ‘Buddhism and Bioethics’. Where: Room 3.1.1 East Wing, King’s Building. Andrew Barnhart (Bioethics & Society MA student) has kindly volunteered to tell us a little bit about buddhist approaches to bioethics and to open up the discussion. If you plan to come along please read the two articles below. Both articles describe a general Buddhist ethics and tries to apply it to different issues. The reason for this attempt is to try and create a more global view in applied ethics and not simply focus on a western perspective. In the Tsomo article, we see how Buddhism might be well suited to handle issues in neuroethics because the religion has a grounding in meditation and mindfulness. In Keown’s article we look at a variety of principles found in Buddhism and how they can be applied to a variety of issues within medical ethics such as reproduction, death and dying, and access to health care. Overall the readings are meant to aid us in considering alternative ethical frameworks when considering bioethical issues so as to become a more inclusive of other peoples perspectives.